We offer our customers regular and scheduled on-site maintenance and repair services for their transformers. To this effect, we will take our mobile EOS service units directly to your plant and to the place where your transformer is located. Irrespective of the manufacturer, size or type of your transformer our EOS experts are capable of performing any kind of maintenance and repair work required. 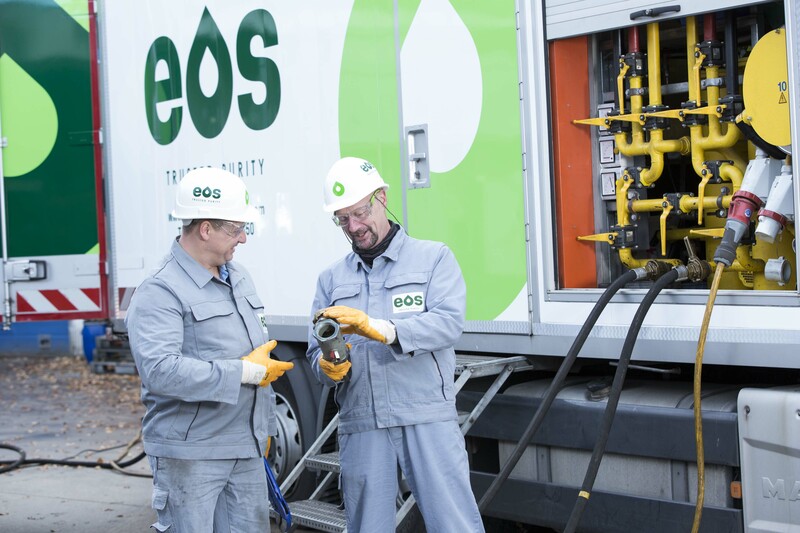 In parallel, our EOS experts can take the relevant oil samples from the transformer and evaluate them (according to IEC 60422 – VDE 0370). That way, our customers can rest assured that, besides the external condition, also the internal condition of their equipment remains in good order thanks to regular checking. As soon as the results of this actual condition analysis are available, we will discuss with you about the measures required regarding preventive maintenance or restoration of operational safety. Besides measures relating to occupational and environmental protection this also includes cleaning, remedying of leakages, degassing and drying of the liquid and solid dielectric material and, where necessary, the complete replacement of the insulating oil fill. Alternatively, we offer an oil regeneration service. This will ensure an in-depth cleaning of the transformer. This oil generation can be performed directly on site and without interrupting operations.